Testing done on soil in several Winnipeg neighbourhoods more than 10 years ago showed potentially dangerous levels of lead, but residents were never told about the results because the NDP government withheld the information, according to documents obtained by CBC News. Testing done on soil in parts of Point Douglas and several other Winnipeg neighbourhoods more than 10 years ago showed potentially dangerous levels of lead — but residents were never told about the results because the NDP government at the time withheld the information, according to documents obtained by CBC News. "I'm just absolutely floored," said Janelle Christenson, a resident of Point Douglas who lives in an area that was flagged as having high levels of lead concentration. "I'm absolutely surprised. Makes me wonder if it is safe to even eat the vegetables or the berries that I'm growing." Documents obtained by CBC through government sources reveal an extensive round of soil testing was conducted by the provincial government in 2007 and 2008 around Point Douglas, Wolseley, Minto and South Osborne. Residential boulevards were targeted, as were playgrounds, schools and sports fields. At least two draft reports detailing the results were written in 2009 and 2011, as well as a draft news release and technical report. For reasons that remain unclear, the NDP government never publicly released the reports. Of the samples taken in the Point Douglas area, 17 came back positive for lead contamination above acceptable levels and a further 10 residential sites in other areas of Winnipeg also exceeded Canadian Council of Ministers of the Environment, or CCME, guidelines for lead levels. The acceptable level is 140 parts per million. One result showed 2,240 ppm on Angus Street near Sutherland Avenue in Point Douglas. According to the report, the possible causes of contamination in the city are historic use of leaded gas, a number of now-shuttered lead smelters, scrap recycling yards, the railyards and metal manufacturing operations. At the sports field for Weston School — an elementary school located just off of Logan Avenue and 280 metres south of a now-closed smelter site — 19 soil samples came back with results that exceeded CCME guidelines. Government officials could find no record of the Winnipeg School Division being told about the results or evidence that the sports field had been remediated. A spokesperson for the province's Sustainable Development department confirmed the documents were never publicly released by the previous government. He said residents and the school divisions were not informed of the results, according to people still working in the department. He also said no soil remediation was done in response to the results of the report. The Archibald Tot Lot, Hespeler Park, Maryland Park, Spence Tot Lot and Lord Nelson elementary school all had a least one sample showing unsafe levels of lead. 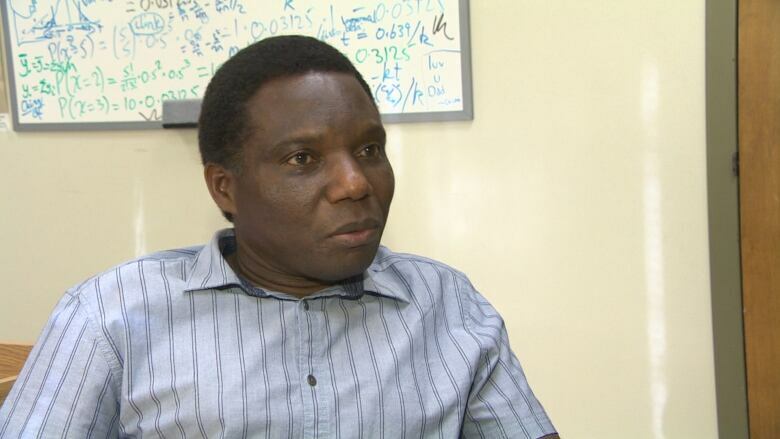 Francis Zvomuya, a professor of soil science at the University of Manitoba, wasn't surprised by the test results but said some of the numbers were particularly alarming, including the high levels in Weston and in Point Douglas. In the case of Weston School, the lead levels had increased since the 1980s, when the first round of tests were completed. Zvomuya said if no attempts were made to clean up the area in the past 10 years, children should not be playing there. "The case that is particularly glaring is Weston elementary. When you look at the concentrations at the majority of sites [tested] … out of the 22 they looked at, only two sites were not contaminated," he said. "That is concerning when you look at the concentrations." 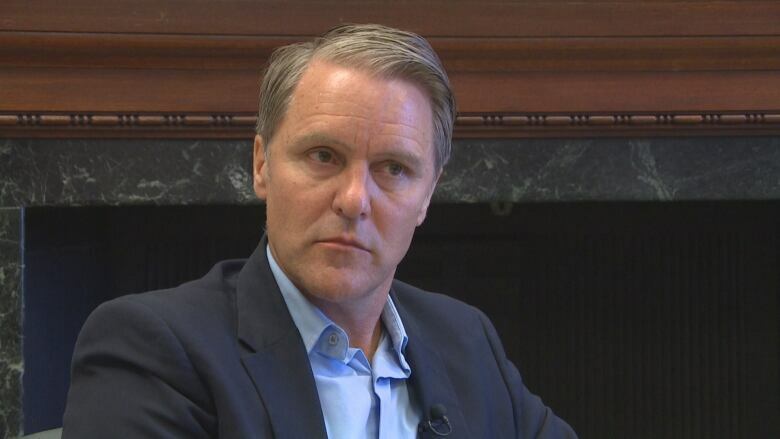 He said there are a number of health issues that come with exposure to lead, including impaired neurological development and developmental delays in children, as well as learning difficulties. Health Canada says even very small amounts of lead in the bloodstream can have harmful health effects and children are especially at risk. Lead can affect their brain development, behaviour, blood and kidneys. Severe cases of lead poisoning are rare in Canada but can cause vomiting, diarrhea or convulsions. Children are at risk of ingesting lead if they play in contaminated soil and put their hands in their mouth. Ongoing exposure puts people at higher risk of developing health complications. "Every time you have a site that is frequented by kids or where kids spend a reasonable amount of time playing, then there is a concern — because then there is a risk of exposure to the contaminants," Zvomuya said. 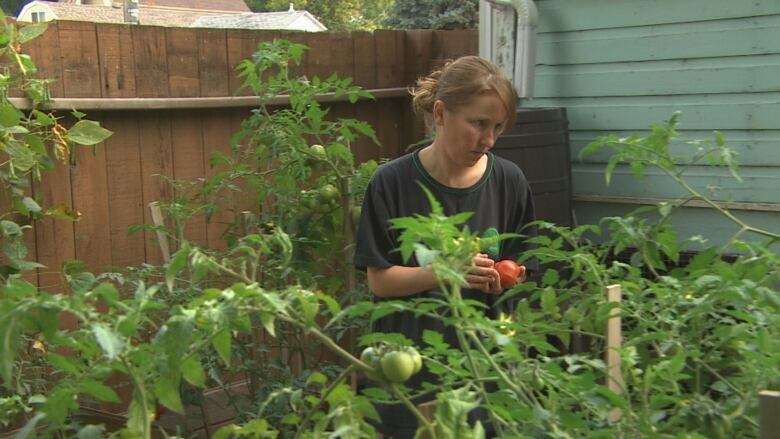 Janelle Christenson has lived along Sutherland Avenue for three years and spends her summer in her garden, where she grows a variety of fruits and vegetables. She is angry that a report has existed for almost a decade that would have warned her of possible contamination within the soil in her garden. "Is there health risks to this? Is it going to affect them later on in life? Is it going to affect us? There is so much stuff to think about. And definitely wonder how they could actually rectify this, if they could," she said. CBC News reached out to several community advocates in the area and residents who lived adjacent to areas that were flagged for contamination. None were aware that testing had occurred and no one had been informed of the results. A draft news release was written in December 2008, with the title "Lead in Winnipeg soil study released." It quoted Stan Struthers, the conservation minister at the time, who said the risk to human health is "most likely low," but noted because pregnant women and children are particularly sensitive "one should be aware of all sources of lead exposure." Struthers promised in the same 2008 release that a "scientific human health risk assessment" was underway which would determine what additional measures, if any, "may be required to ensure we safeguard environmental and human health." A spokesperson for current Health Minister Cameron Friesen said the government could find no evidence that those further assessments were done. A technical briefing drafted around the same time noted the "results are complete awaiting release." When asked to comment on the shelved reports, the now Opposition NDP did not make Leader Wab Kinew available for an interview and in a prepared statement refused to acknowledge Point Douglas, the report or its findings. Instead, the NDP chose to address the current issue of soil contamination in St. Boniface and "recommend that the provincial government release any information about potential public health concerns within 72 hours." The information about the decade-old Point Douglas soil sampling comes just weeks after the Opposition lambasted the current Progressive Conservative government for not immediately disclosing the results of similar tests conducted in St. Boniface last fall. Last week, Kinew met with Manitoba's ombudsman to lobby for an investigation into the government's decision to withhold the results during a three-week byelection media blackout. Friesen said if the ombudsman investigates St. Boniface, he "surely" should also look into what happened 10 years ago. "The government sat on these reports and never disclosed [them], they did not act on the advice of officials that said, 'Tell the school divisions.' They did not act on the advice of officials that said, 'Make this website go live so residents can check their levels,'" the health minister said. "That raises serious questions and there are serious answers that are owed.… Many of the NDP members in the House now were ministers then. They sat around that cabinet table and they should be able to provide an explanation. I just don't know if it will satisfy Manitobans." The current government has known about the unreleased test results since October 2017, when Sustainable Development Minister Rochelle Squires tabled the 2011 report and first raised the issue. 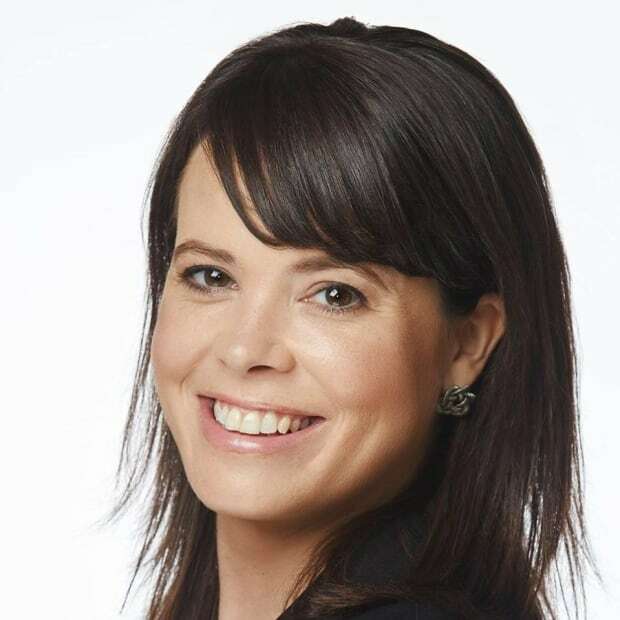 A senior official with the Progressive Conservative government said that Squires ordered new testing in the Point Douglas area about two weeks ago. It's expected to begin Sept. 24 and be completed by the end of October. A report on the results will be completed by December and publicly released. "We will not sit on that information," Friesen said. "In the meantime, is there reason to panic? We do not think there is. The advice from public health officials in regards to growing tomatoes in your backyard remains the same: wash your vegetables. If you are playing in a playground, wash your hands before you eat food." He said his government has been slowly unearthing documents that show some work was done to release the report — including setting up a website to inform residents — but it remained shelved. Zvomuya was in charge of the soil tests that occurred last year in St. Boniface and will lead the new tests the government has ordered for the Point Douglas area. "If you have a site where our kids play and where humans spend a lot of hours working or playing or doing recreational activities … then they have to be remediated," he said. "It may be expensive but that is the only way we can have people doing activities without facing the risk of lead poisoning." Got a tip for the CBC News I-Team? Email iteam@cbc.ca or call the confidential tip line at 204-788-3744.